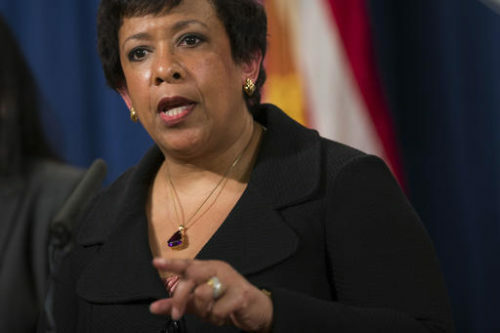 WASHINGTON (AP) — In suing the state where she was born and raised for discriminating against transgender people, Attorney General Loretta Lynch invoked the defining civil rights struggles of the last century and made clear that the federal government sees its dispute with North Carolina as about far more than bathrooms and showers. Her remarks, in unusually forceful and personal language, came as North Carolina Gov. Pat McCrory refused to back down over a law that requires transgender people to use the public restroom corresponding to the gender on their birth certificate. The Justice Department says the measure violates civil rights laws and is seeking a court order to block it.